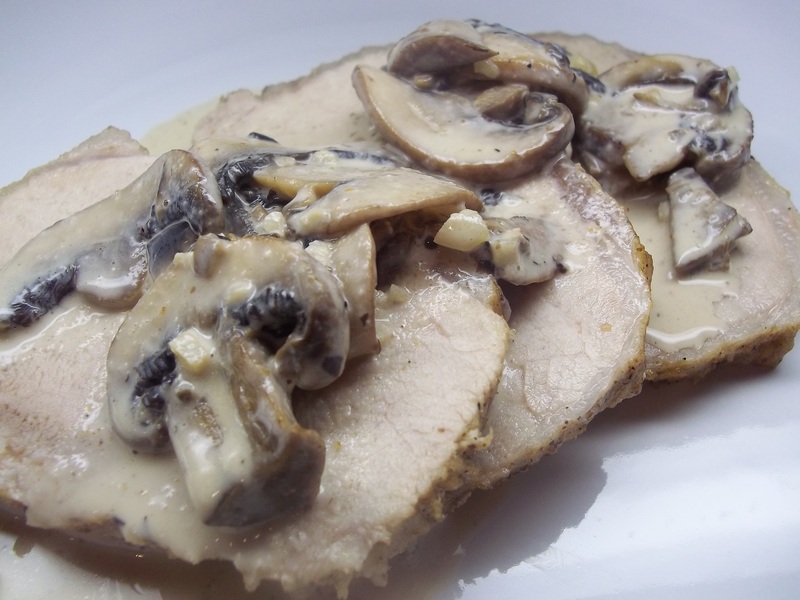 I have my aunt to thank for giving me the idea to use mushrooms with the pork loin I had intended to cook today. She follows the blog and suggested mushrooms when I asked for ideas for dinner on my Facebook page. And just as she supports my blogging and acts more as a dear friend now that I am grown, she was also a wonderful part of my life when I was growing up. In fact, when it came time to pick guardians for our children, in the event that something terrible happened to my husband and me and we weren’t able to raise them ourselves, I was wishing that somehow we could choose my dad and his sister to raise them. I couldn’t think of better influences for our boys. But, fortunately, back-up guardians haven’t been needed, up to this point, and these two important relatives have played wonderful supportive roles in their lives, nevertheless. This one’s for you, AK! I rushed the cooking process a little on this dish. The pork wasn’t tough, but would have been better if I had reduced the heat and cooked it for a longer period of time. 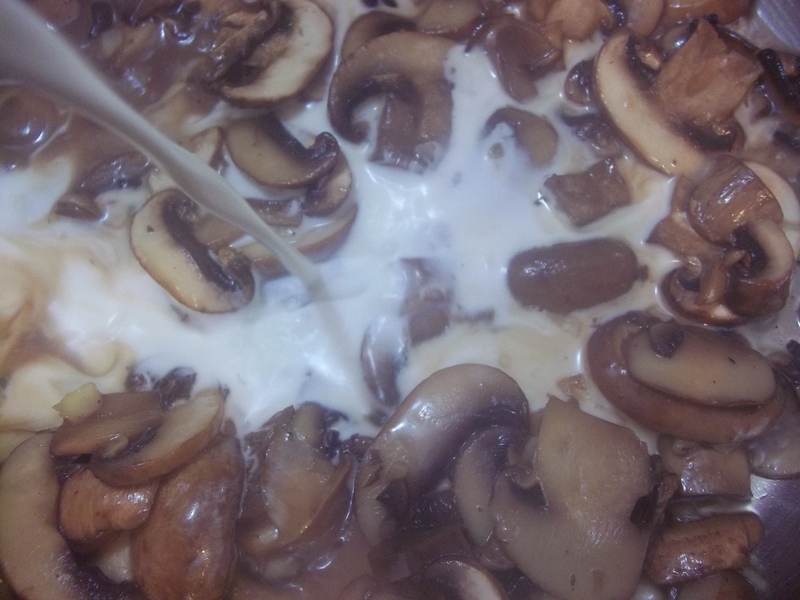 I used crimini mushrooms because I already had them, but wild mushrooms would be even better in this sauce. Having said that, the sauce was amazing and will make an appearance on our dinner table at another time, for sure. 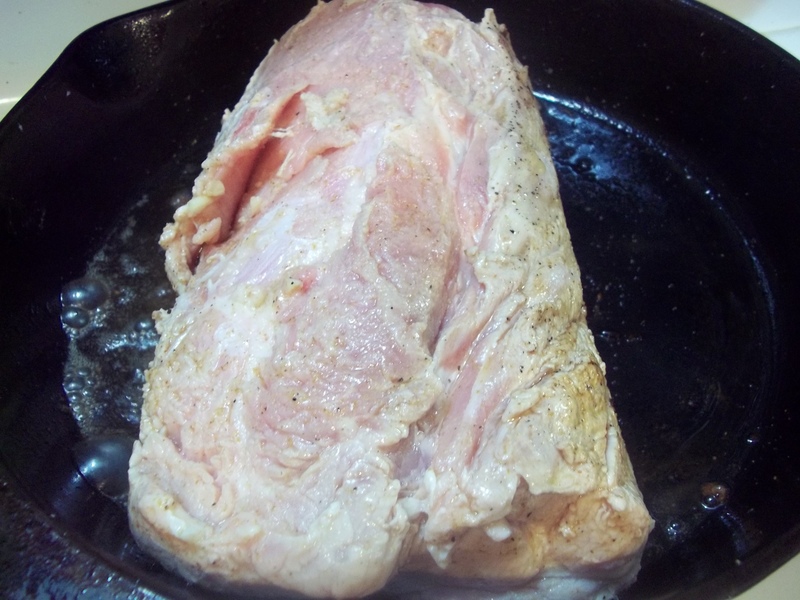 Place pork in marinade. 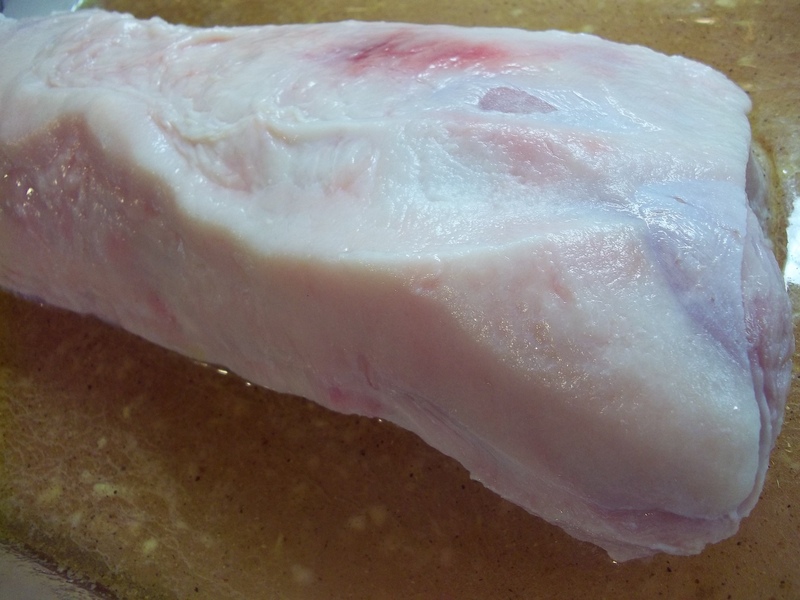 Allow to marinate covered under refrigeration for 3+ hours, turning every half hour or so. 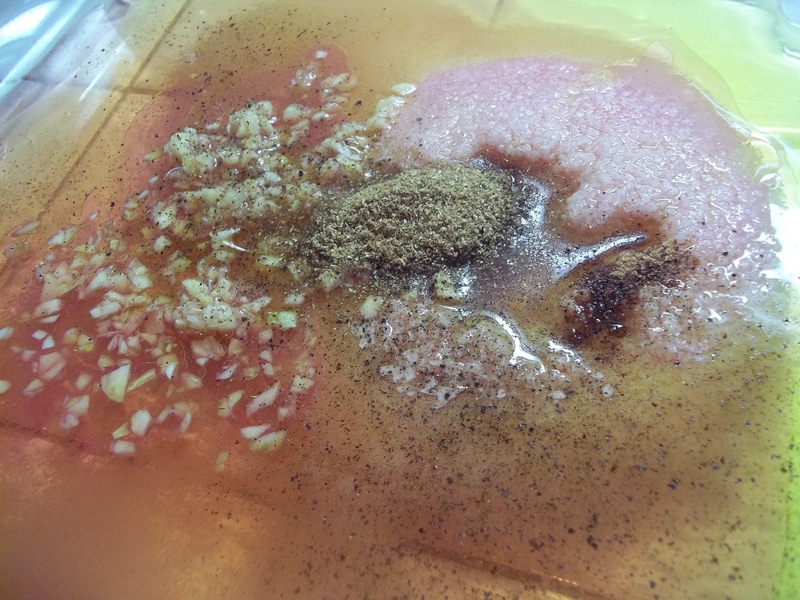 Remove the pork from the marinade and dry the surface well. Heat a pan to very hot. Rub the surface of the pork with salt, pepper and coriander. Sear in a bit of olive oil, fat side down, to brown on all sides. Transfer to a roasting pan and cover. 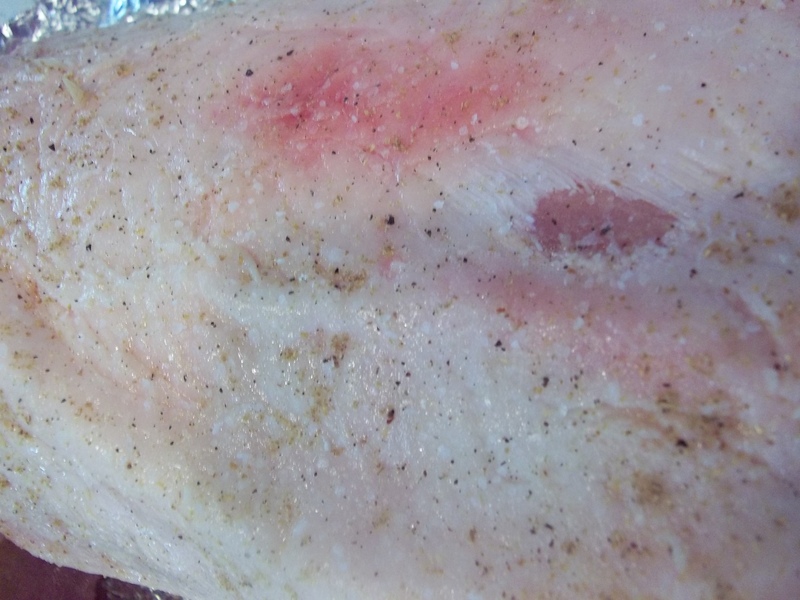 Roast for one hour or until internal temperature reaches 160 degrees. Set aside to rest for 20 minutes. During this time make the sauce. 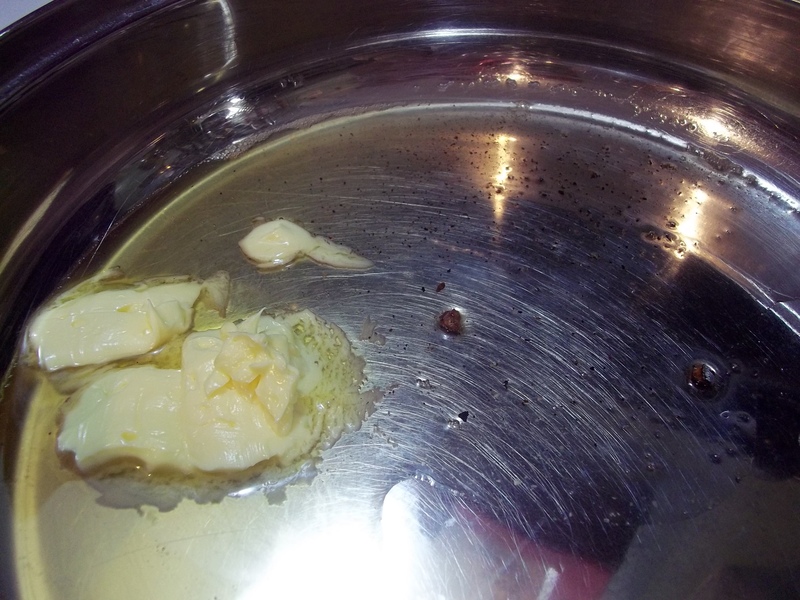 To make the sauce, heat pan drippings and butter over medium to high heat in a large saute pan. Add garlic to sweat. 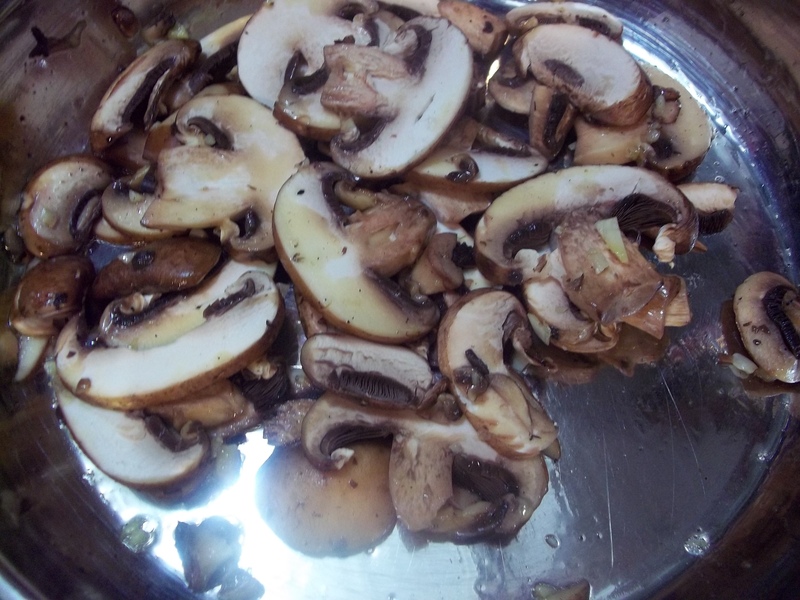 Saute mushrooms with the garlic until they brown a little. Deglaze pan with pan juices and reduce. Add cream, pepper if needed, and 1 tsp. coriander. Reduce to thicken. 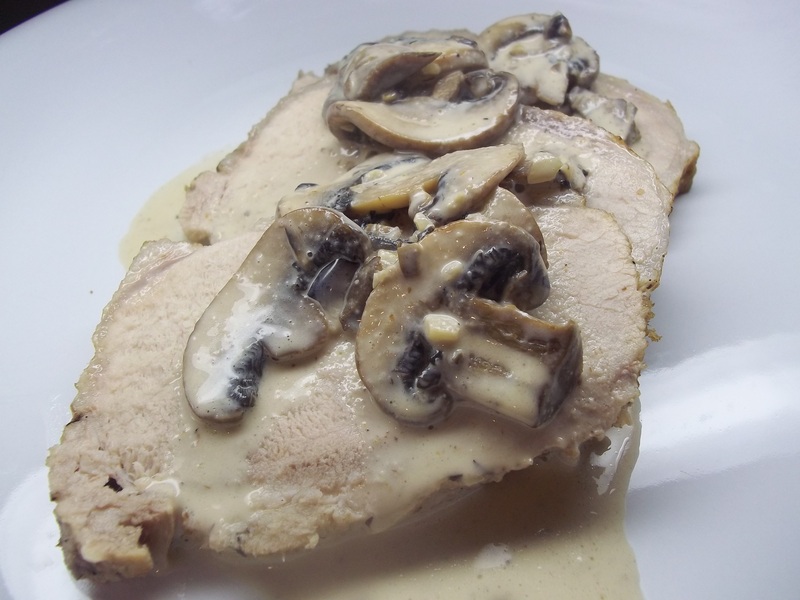 Thinly slice pork and spoon mushroom sauce over each portion. Yield: 6 to 10 servings.